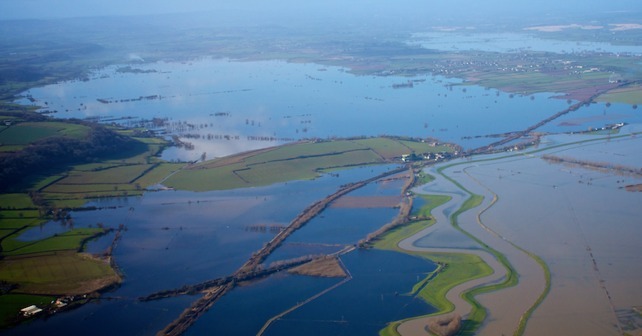 Our very own Apple FM’s Craig Stone, took to the air to check out the latest view of the flooding over the Somerset Levels. Flying over the levels Craig said “You have to stop and think, we are not flying over the coast, the amount of water and size of the area affected is unbelievable. After visiting the area on foot, only a week ago, helping to deliver large bags of sand and seeing the rushing rivers and flow of the water, on the Levels is unbelievable. My heart and thoughts go out to all those affected by the flooding and for the many helpers still trying to help residents and saving their homes”. Check out Craig’s Photos below and see his video by clicking here.